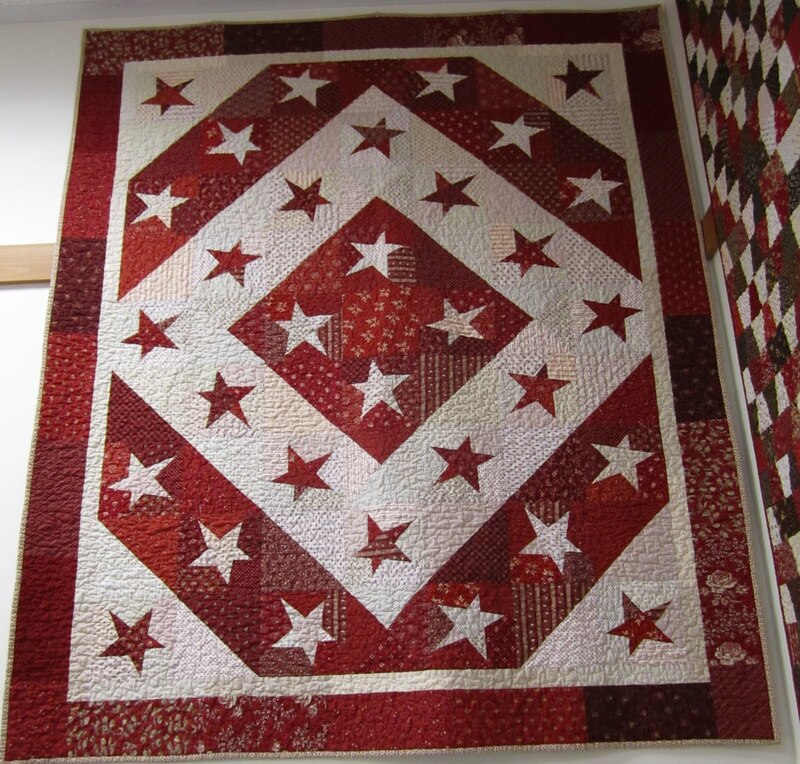 I'm still working away on my Red and White Quilt Show Tribute Quilt. 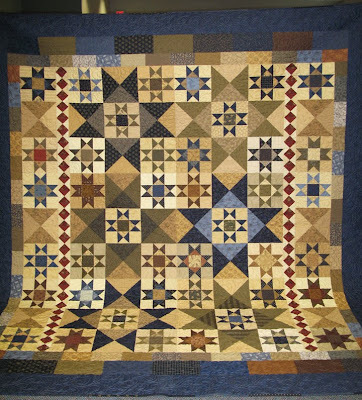 There were several quilts in the show with different takes on the Irish Chain pattern. 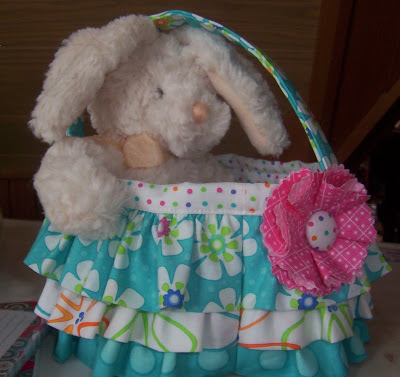 This one was my favorite, I think it was just the simplicity of the pattern. 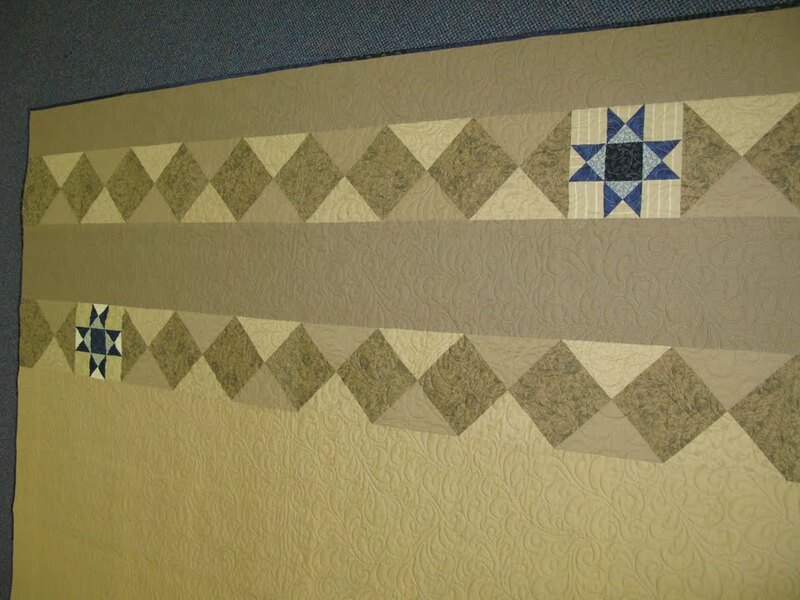 This quilt was hung in the interior bottom of Pavilion Four and is quilt #898. 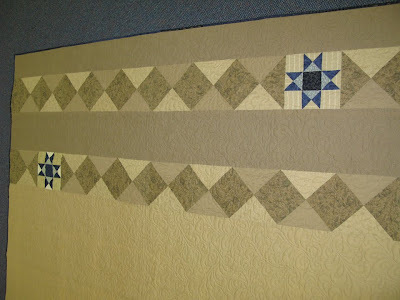 My blocks are a little smaller and the quilt has fewer blocks. I'm thinking this piece will be easy to fit in anywhere in the overall scheme of things. My little quilt finished at 23" x 23" and has 766 pieces. 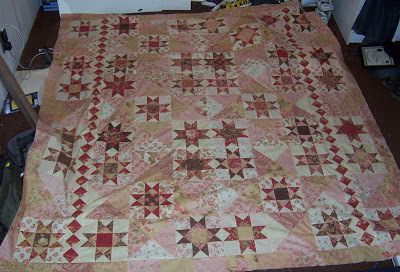 The bigger 9 patch blocks finished at 4.5 inches, the small 9 patch blocks finished at 1 1/2 inches. So 2 down, I don't know how many more to go. I maybe need to work on a piece that has more red than white in the pattern. I was surprised how easy those little pieces fit together and enjoyed working with the smaller blocks. One thing that made that easier was my Go Cutter. I don't really have a need for little teddy bears, cats, or hearts or all the other whimsical designs that machine can cut, but one thing that did appeal to me about using a Go Cutter was cutting strips. Not so much as a time saver, although it is, but for accuracy. I used my Go Cutter to cut the one inch strips I needed to make my little 9 patch blocks. I also used the one inch strip die cutter to cut my strip sets, and it worked like a breeze. I lined up my strip sets with the seams running the opposite direction of the cutter. To make sure they didn't move I taped them in place. Then I cut them. This was such a time saver. I cut all 200 pieces in less than 5 minutes. I think it would have taken at least an hour to cut all those tiny strips by hand, one by one. 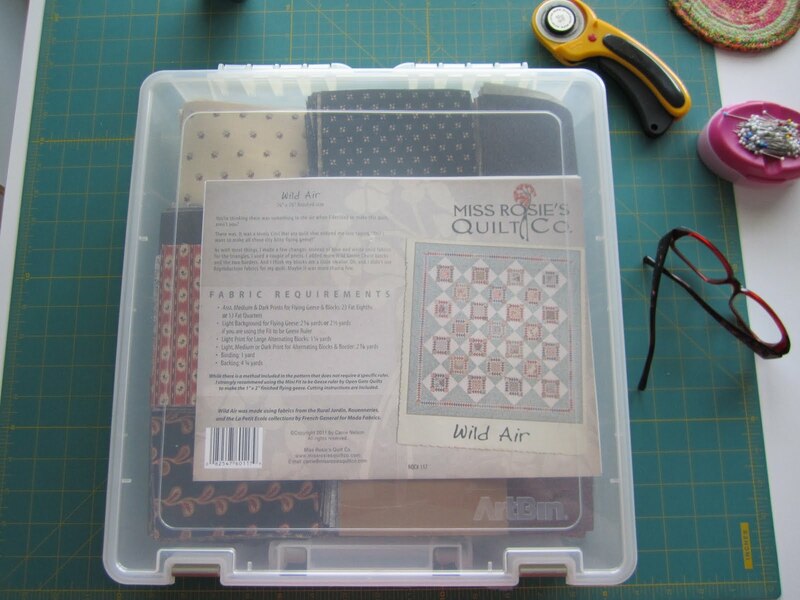 I've not mentioned my GO Cutter on my blog before because I paid for mine and didn't want you to think I was being asked by Accuquilt to promote their product. I've not seen anyone blog about cutting strip sets so I thought I would share that with you. Now that I have mentioned it I will say this, I would consider the GO Cutter a nice to have tool in your sewing room, definitely not a must have. But if you were like me, and wondering if you would use it, I think you'll be surprised how much you do use it and how much time it saves. I really love my GO Cutter. Who came up with that term, "lazy days of summer"? There aren't any lazy days at my house, summer or otherwise. It's rare for me to even be doing just one thing at a time, I like to do 2 or 3 things at once. 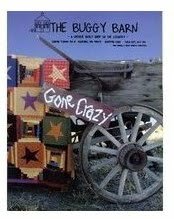 It drives my family crazy, I hear, "can't you just sit down", and "don't you ever relax" all the time. So while there are no lazy days here, you wouldn't know it by my quilting output. This is block 4, which I think looks like the mustache of an invisible man. I was supposed to have this block done by the first of the month, I'm hoping it's done by the end. But I'm still enjoying it, so that's all that matters. 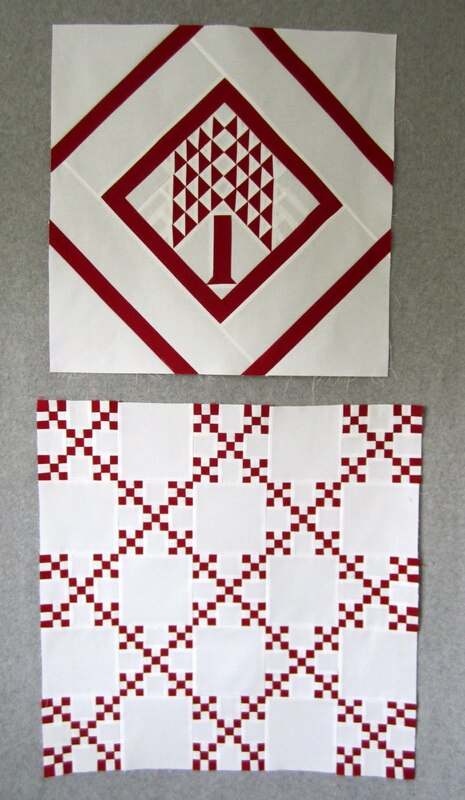 I'm also working away on my Red and White Quilt Show Tribute Quilt. I've made some pretty good progress, but the majority of my work has been in my head or on paper. I would like my quilt to look something like this, nothing but red and white quilts, all patterns, shapes and sizes. After studying the quilts in the show I decided I wanted the Tree of Life pattern to be the center of my quilt. There are several Tree of Life quilts in the show, different settings, different tree patterns. 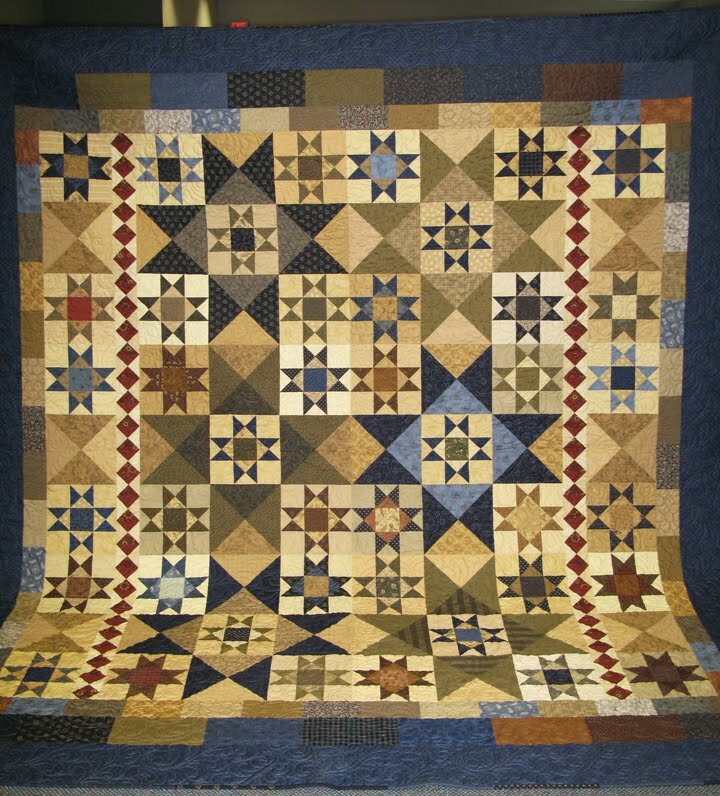 This is quilt number 1056 and was hung in the interior middle of Pavilion One. 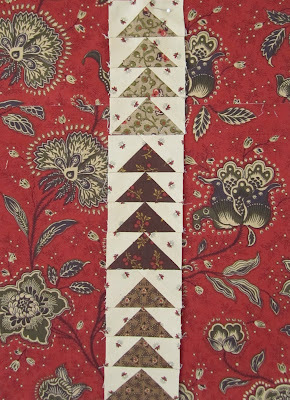 Did you know that traditionally the trunk section of this block was appliqued? I appliqued the little triangles at the bottom of the trunk, but not the whole trunk. And after I got it all done, and compared it to the original, I noticed my block was a little leaner. I'm hoping I can live with it. If I have to make every quilt twice I'll never get done! 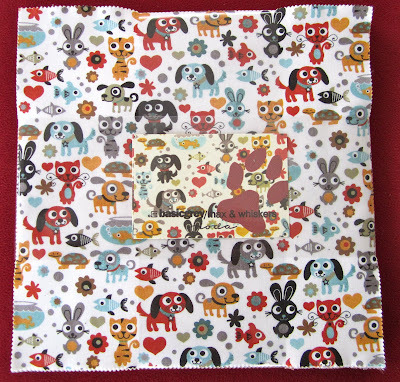 Now I just need to surround this block with about a dozen or so red and white quilts in various sizes, patterns, and designs. Sounds like fun to me! 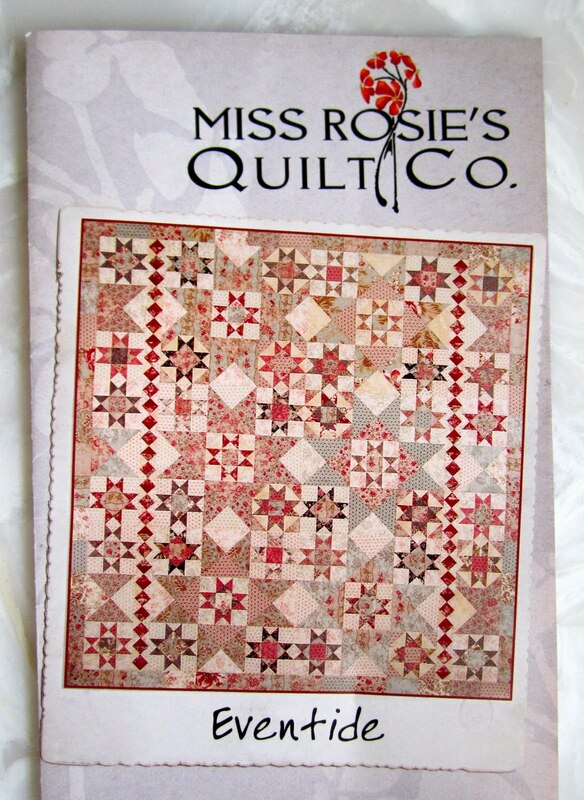 Here's what I do know for sure, the quilts will be red and white. Really that's all I know, I've yet to determine the finished size or even all the additional quilts I'll use for inspiration. And deadline, you know me and having a plan, but how can I possibly put a deadline on this? I'm hoping for the end of July, but we'll see. Well now that my quilt is home from the quilter I think it needs another name, because this quilt is too classy to be out dancing with anyone in the pale moonlight, let alone the devil! 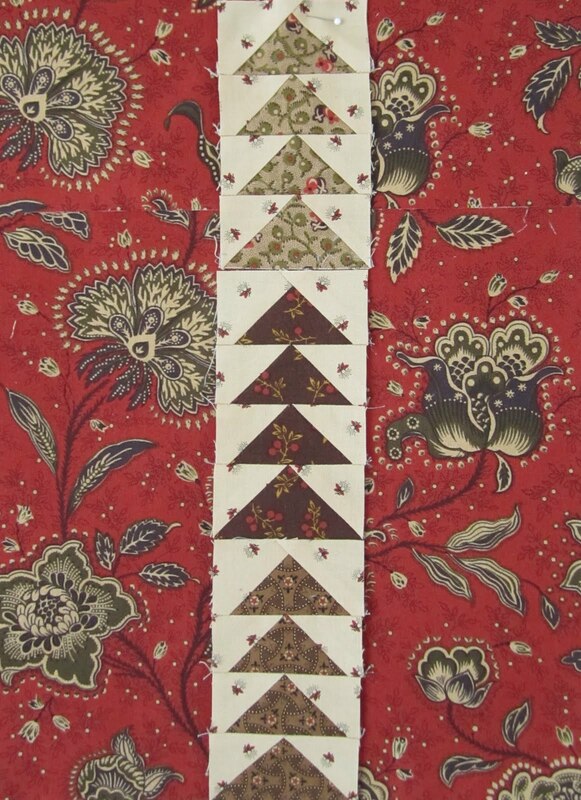 I went back and read my posts of when I was working on this quilt, oh the fabric drama I created for myself. It all seems funny and not necessary now. I started with Park Avenue by 3 Sisters for Moda but I pretty much took out all the red from that line and used some French General reds instead. 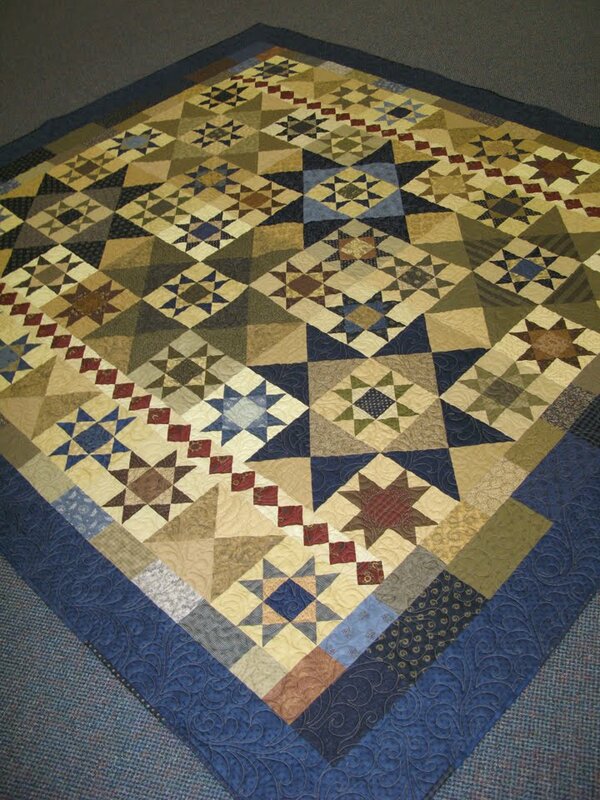 I fretted over every Ohio Star block combination and even passed on 3 of them once they were done. I must say, it was worth every drop of sweat, I absolutely love this quilt. Luckily for me, Moda made extra wide fabric backing from the background fabric of that family, and that's what I used for the back. 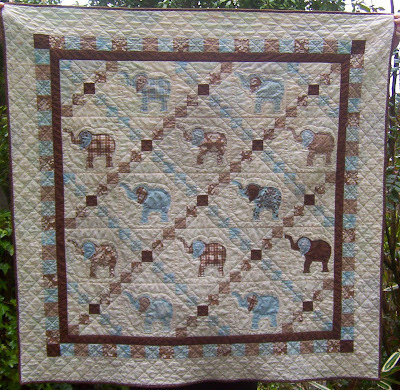 It's sort of hard to tell in this picture, but it looks nice in person and you can really see the quilting detail. I went with a custom design with a few straight lines but mostly feathers. fleur de lis-ish design in each corner. And a few more feathers in the border. If you participated in the sew along be sure to send pictures of your updates, whenever that may be. 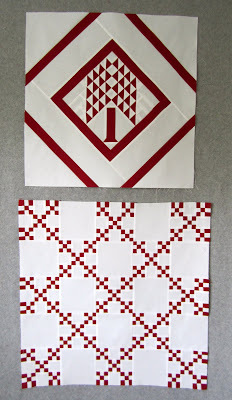 I'm working away on my Red and White Quilt Show Tribute Quilt, more in my mind and on paper than in my sewing room, but hope to have something to share, even if it's just a start, later this week. 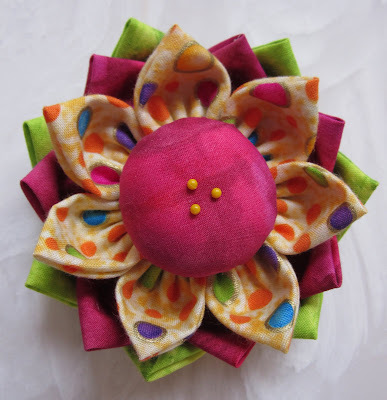 Hey Deb, I got my charm pack, thanks so much, it's just what I needed for a few little pincushions and mug rugs I've been playing around with - I lost your email address but wanted to let you know I received it, was thrilled, and am using it! It seems like all I've done is pack and unpack a suitcase this spring. Last weekend my husband and I popped out to Las Vegas to celebrate his birthday, but I'm home now with no travel plans until the middle of August, look out sewing room I'm moving back in. I was able to squeeze in one very important finish in the few days that I have been home and not packing or unpacking. My daughter adopted a dog and her first request was for a quilt. That's something we do in our household, make quilts for our dogs. Cooper inherited Simon's Quilt (Lifetime Quilt #33) so it had been awhile since I made a dog quilt. Max & Whiskers by basicgrey for Moda. 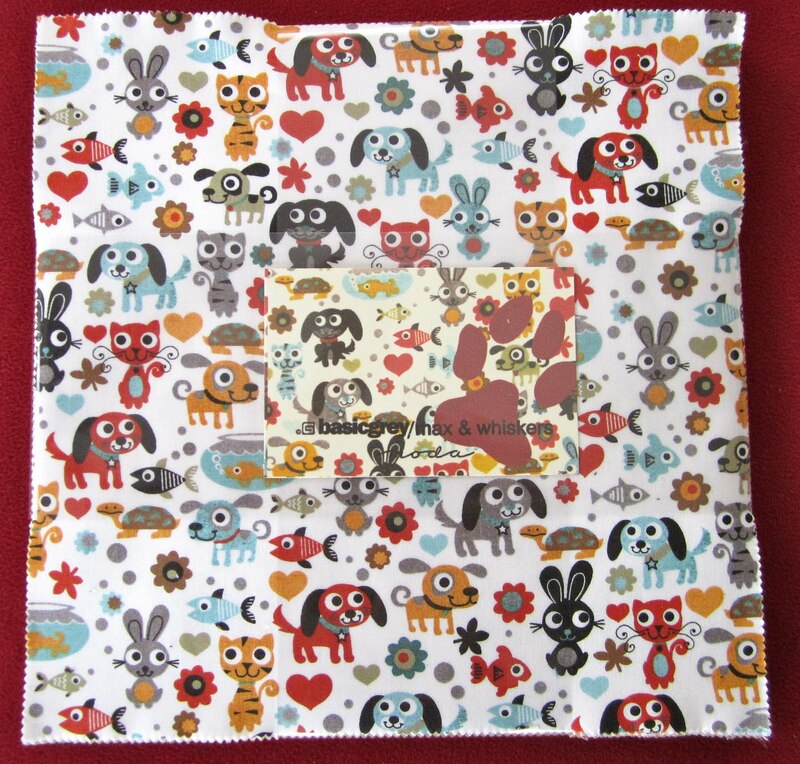 So I bought a layer cake and started thinking about the perfect pattern, something easy, (it is for dog after all) and something that would show off that adorable fabric. I wanted the dog, paw and bone prints to be easily discernible. The first thing I did was cut the layer cake into fourths. Then I separated the fabric into groups of colors, blue, white, yellow and orange, and black and brown. 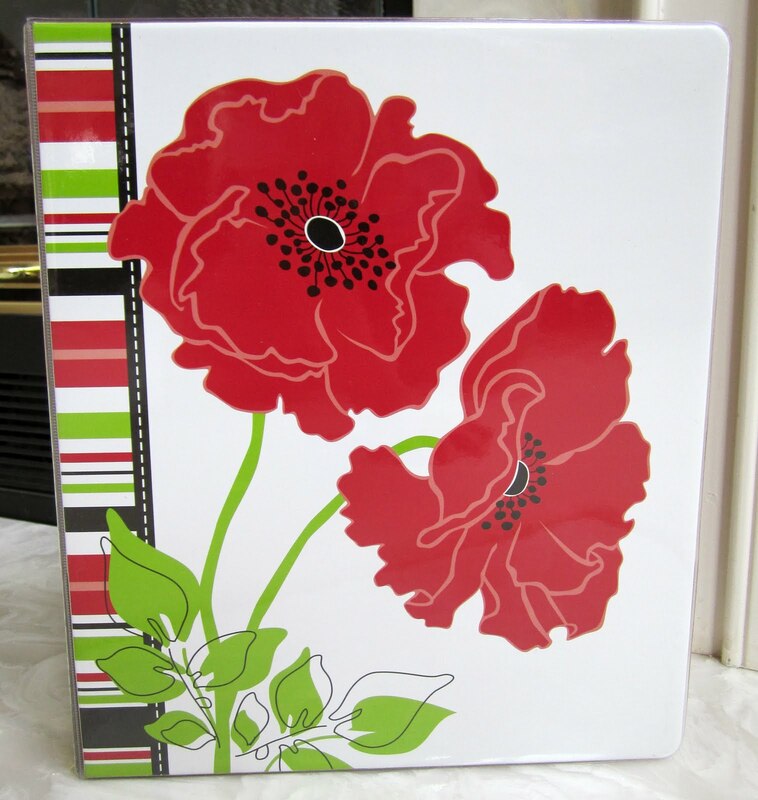 Then I put them in different combinations on my design wall until I came up with a design that appealed to me. In the end I went with this around the world pattern. 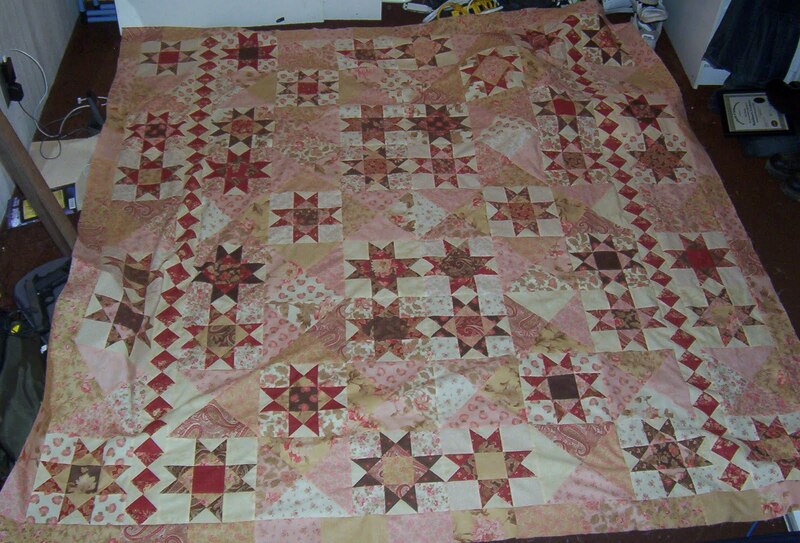 I also cut the blocks down to 4 1/2 inches so the top would finish at a nice even 36 inch square quilt. And here it is all quilted. My quilter went with twice the batting and stitched in the ditch to create this puffy pillow look. Plus she added some extra quilting to the center 9 blocks, they lay a little flatter, to create a little nest in the middle of all that fluff. 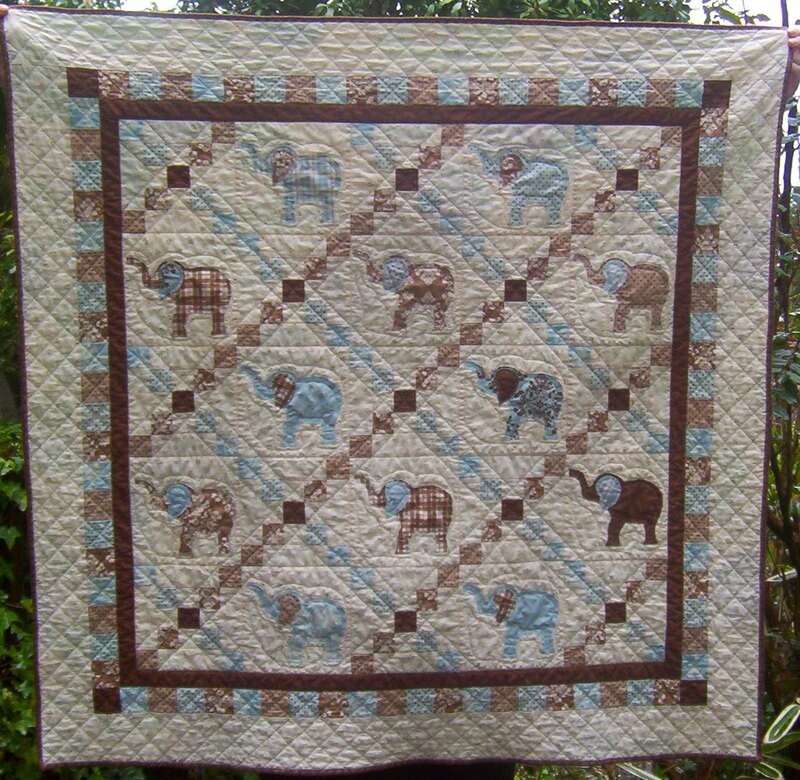 This quilt is in the mail, on it's way to Tucker. Hopefully I'll bet a great picture of Tucker sleeping peacefully on this quilt, and not a picture of Tucker in a room filled with stuffing and shreds of Max and Whiskers everywhere, time will tell, it could go either way! and finished at 36" x 36". 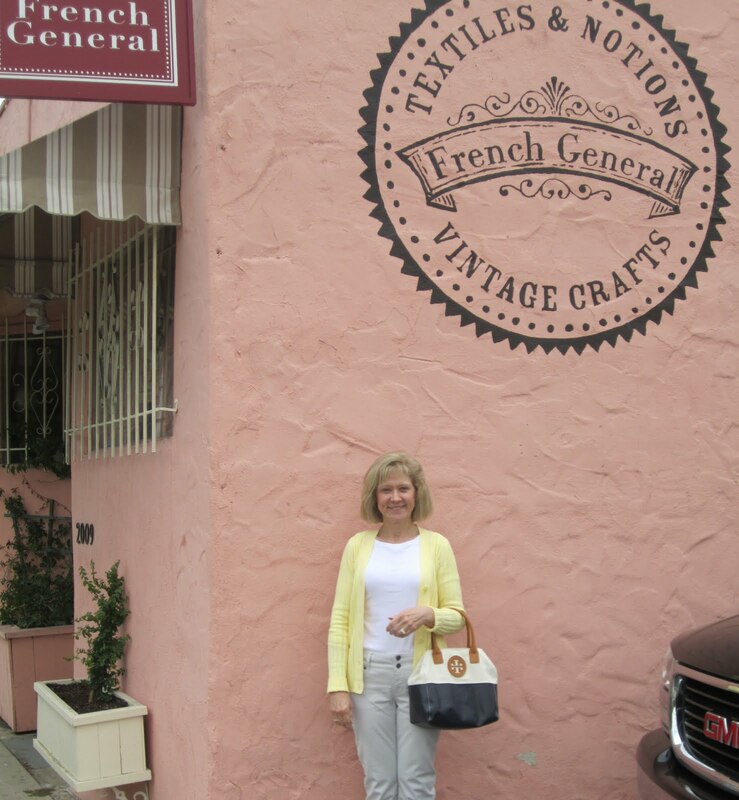 I enjoyed hearing all about the French General quilts that have been made and fabric that has been bought or will be bought, it's nice to know I'm not the only French General fan. I find it very fascinating that Kaari Meng, aka The French General, is not a quilter! 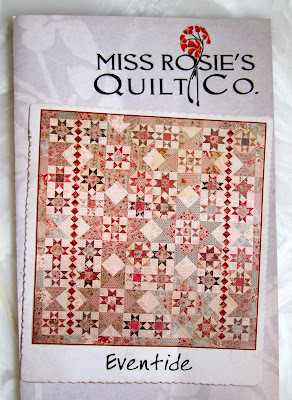 She sure has a knack for designing great quilting fabric. I'm such a fan of my French General fabric, I don't throw away the scraps, I keep every little bit that doesn't get into a quilt, any other scraps either find a new home or get tossed. 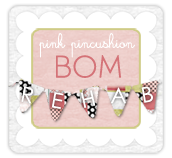 you are the winner of the pin cushion, French General tote and notebooks. Does buying French General fabric count ? Can't seem to get past fondling it. 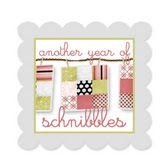 Congratulations Ginny, and I've been known to fondle some of my FG fabric too! 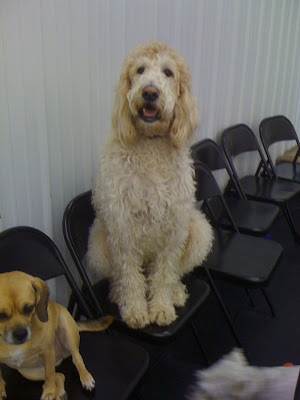 Wednesday, I"ll have a Wild Air update, hope you can stop back by!